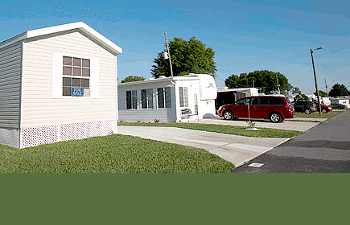 Mobile home insurance quotes in 10 minutes or less. Policies tailored to your individual property and lifestyle. Bundle your home and auto insurance to save thousands! This site is proud to offer free quotes and information on Foremost home insurance for both mobile & manufactured homes. Foremost started the mobile home and trailer insurance industry in the 1950s and has become the bestselling brand of mobile home insurance all across the nation. Today, Foremost manufactured home and mobile home insurance cover more people than any other brand and they keep growing in industries outside of mobile home insurance. We are proud to carry Foremost mobile home insurance as well as vacant property insurance and other various homeowners options from Foremost. 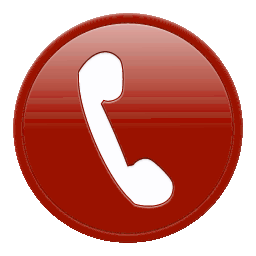 If you are interested in free insurance quotes on top-of-the-line coverage from the nation's leading mobile home insurance provider click on the button below or dial 1-800-771-7758 during normal business hours for more information and a free mobile home insurance consultation. The house in the above photo is actually a modular home, which is manufactured at a facility but is not technically mobile. Modular homes like the one above must be built and assembled according to the same state housing and construction laws governing any fixed-foundation home. 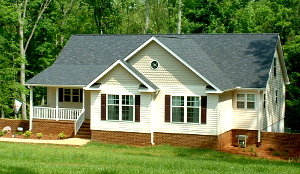 These types of homes- both traditional and modular- are called site-built homes. There are many property and casualty insurance providers in our network, this site happens to advertise and sell primarily Foremost insurance coverage. You can tell, however - based on our A+ rating above- that we only work with the best. When it comes to mobile and manufactured home insurance, Foremost has the competition beat. The Foremost company has been synonymous with trailer and mobile home insurance since its inception as the very first insurer of RVs and trailers in the 1950s. We only work with the most trusted and reliable brands like Foremost to deliver our customer's free quotes on homeowners insurance as well as mobile home insurance. We do offer competitive pricing mobile home insurance from other brands, but for the most part, our various foremost mobile home insurance options will provide the best protection for your money. "Gotta say I would highly recommend this company to other people.. the Quote was a lot cheaper than everyone I have called around to. The Agent I talked with was very helpful and friendly.. I was very pleased with the service... I look forward to working with this company for a long time.. Thanks for your time and helping me and my daughter." "I've always been relieved that I found Dean to help me out and he's given me peace of mind." "Jose was very professional and made the process simple and easy to understand the policy we purchased. We look forward to doing business with Jose and will consider referring friends and family. Thank you, Jose, for your prompt assistance." appreciate his getting our Mobile Home insured"
"Called to get a quote for a farm and received the best service from Justin Chhin, it was a pleasure doing business with you. And hoping to do more"
I totally appreciated how easy it was to obtain a Homeowners policy!! Ronnie Castillo with Foremost was great and very courteous!! !